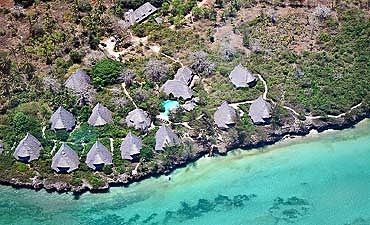 Looking For Island & Beach Holidays In Tanzania? Scroll Down For Details.. 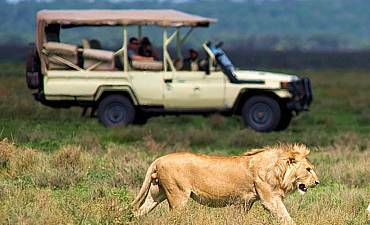 Mention Tanzania as a vacation destination in Africa and the mind immediately relates it to sprawling grasslands and vast open stretches teeming with a stunning diversity of terrestrial and avian fauna. 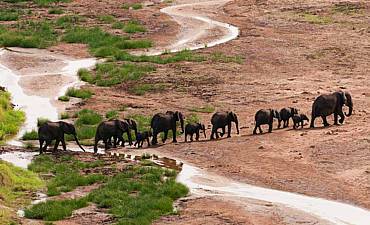 But the coastal locales of Tanzania are undoubtedly some of the most gorgeous in the world. Powdery soft, silver-white sands gently caressed by the gentle waters offset by the scintillating turquoise-azure of the warm Indian Ocean against a backdrop of the blue skies on the horizon. The weather is always perfect save for some days in the wet seasons. 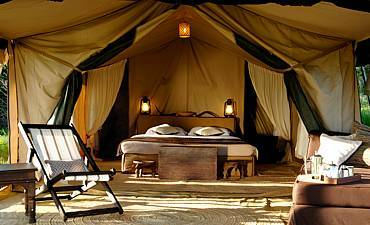 The sky is clear and the sun shines down further warming the sands making them ideal for lazy, languorous siestas and sunbathing sessions on your seaside trip in eastern Tanzania in between relaxed dips in the water. 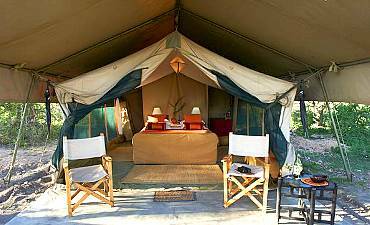 The verdant tropical vegetation offers optimum shade and the palm trees, and other sturdy tropical trees are ideally placed so they can support the hammocks for naps as you revel in your beachfront outing of Africa. Colorful equatorial birds flit among the trees accompanied by monkeys and other aerial frolickers like colorful butterflies. Small mammals like dik-diks and suni antelopes can be spotted feeding on the coastal grasses and shrubs, and as you walk along the sandy beaches, your toes tickled by the waves, you might spot small pool in the rocks. Tiny marine creatures like starfish, mollusks and crabs can be seen stranded by the fading tide, waiting for it to return so they can go back to the ocean. Head out to the deeps of the ocean, and you might be lucky enough to spot seasonal humpback whales making their way along their migratory paths, announcing their presence with an occasional spout of water. 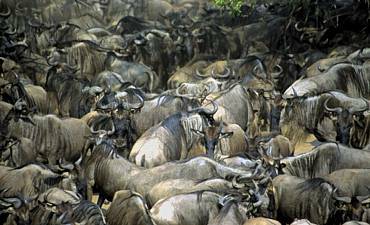 Tanzania has hundreds of miles of coastal area, and each destination has something unique to offer you to enjoy while you go island hopping around Tanzania with AfricanMecca. Do remember that this is a country with a rich historical and cultural past, and the islands that lie to the east of the ocean have participated as trade routes for varied goods. They have also seen much strife with many invaders vying to control them. Many remnants of this vibrant history are still evident today as a fascinating melting pot of cultures, from people of varied ethnic origins to the unique Swahili architecture, cuisine, art, music and much more. As you look out to the sea, you are likely to spot traditional fishing dhows characterized by their special triangular sails, an essential quaint part of the Tanzanian coastline. 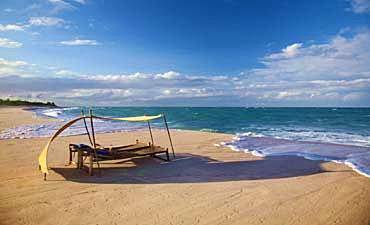 Should you cherry-pick Dar es Salaam as your seashore travel destination, you can choose from three separate beach sections. To the north are the beaches of Kunduchi and Jangwani where you can enjoy the bustling environment and also watersports. 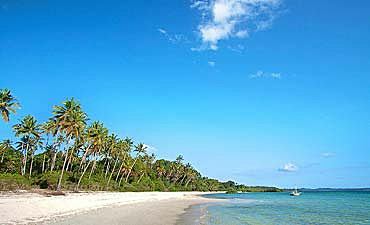 On the south, are the tranquil beaches of Ras Kutani and Kigamboni. 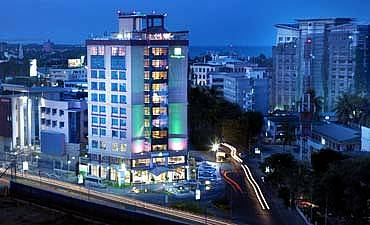 Dar es Salaam has a third beach section, Coco, that lies within the city boundaries in the Msasani Oysterbay suburbs that serves as a weekend and evening getaway for the residents of Dar es Salaam. 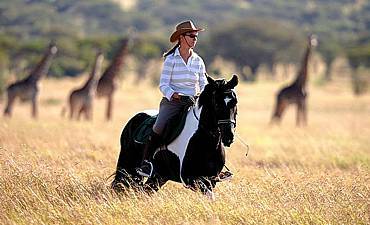 Move northwards from Dar es Salaam on your seaside holiday in East Africa and you will encounter the historic archipelago of Zanzibar or the Spice Island. 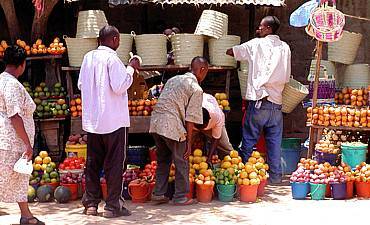 Well-known over the centuries for the spices grown on the island, Zanzibar was an important destination on the yesteryear spice route. 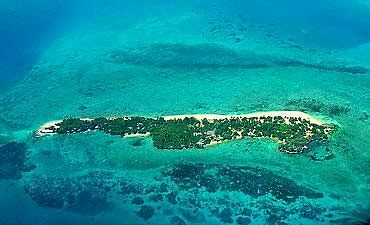 Today, it is a dream beach vacation with incredible coral reefs both living and ancient. You can go exploring in the waters around the island and inspect the grand diversity of colorful corals and the even more enthralling variety of reef denizens. These coral serve as the rainforests of the Indian Ocean and also encourage the proliferation of plankton that visiting whale sharks and humpbacks feed on. The corals have also taken over the old shipwrecks lying on the ocean bed and transformed them into an enchanting habitat for many pelagic creatures. Every one of the islands around Zanzibar is characterized by the soft sands that sink below your feet and dazzle you with their pure white appearance creating a dream-like contrast against the azure of the Indian Ocean. 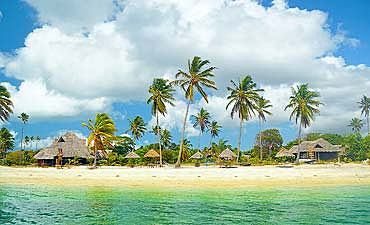 As you will learn on your AfricanMecca sea escapade, Murogo, Pange and Nyange are the primary sandbanks while there are also a host of smaller islands, some private too, such as Mnemba, Chapwani (Grave Island), Chumbe, Changuu (Prison Island), Bawe, Tumbatu and more. 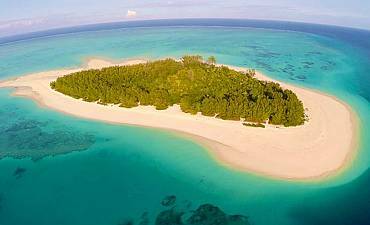 Mnemba Island offers you the romantic experience of walking on wet sands in the moonlight and watching your footsteps gleam behind you while Chumbe Island is the first gazetted national marine reserve of Tanzania. 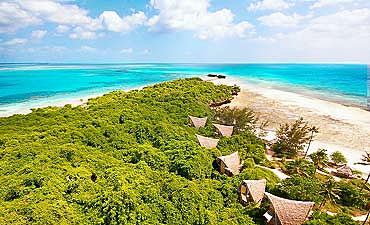 You will also learn on you island tour of Zanzibar that Chumbe is, in fact, an ancient coral bed over which vegetation has formed. Chapwani Island is yet another fascinating locale you could explore that hosts many enchanting bird species like fruit bats, black herons, white egrets, fish eagles and many more fishing in the ocean waters rich with aquatic prey. 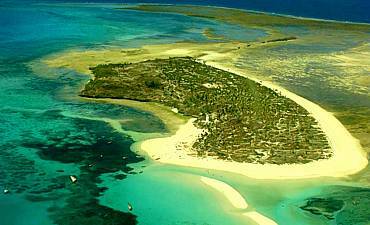 If you are looking to view giant Aldabra tortoises and other varied birds, then Changuu Island should be your destination, popular with day visitors. 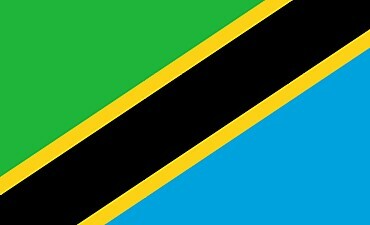 Further northwards from Zanzibar is Pemba Island also known as the Green Island. Though smaller than Zanzibar, Pemba is covered with lush, tropical vegetation and is incredibly beautiful with a hillier landscape. A very, tranquil island, modernization seems to have passed it by as you will find the locals still clinging to their old ways. 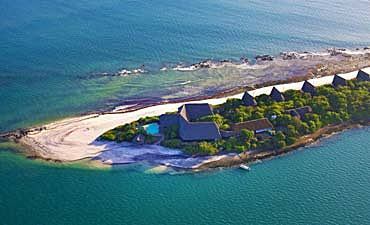 Do include a stop at Mafia Island when traveling in southern Tanzania with AfricanMecca. The islanders of Mafia have initiated several community efforts to preserve its tranquility and unique beauty. Wander through the plantations on the island or go exploring the underwater realm of Chole Bay. Located close to Ruvu River in mainland Tanzania is the coastal town of Bagamoyo and lying close by is the private Lazy Lagoon Island. 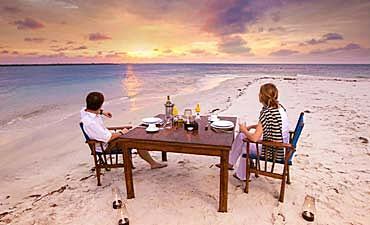 You will enjoy staying over in the island's lodge that operates under strict eco-friendly principles. 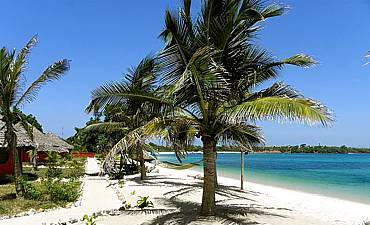 The Songo Songo Archipelago is also a part of Tanzania and includes the private Fanjove Island, another remote, private beach destination for a vacation in East Africa. Then again, there is Kilwa that includes many smaller coastal settlements like Sanje Ya Kiti, Kisiwani and Songo Mnara among others. No matter which beachfront locale you choose, you will come away enchanted by the breathtaking beauty of coastal Tanzania.